Regardless of the sports your children play, your family will experience many of the same benefits of family time whether helping them improve their sports skills in the backyard or at the local park, or traveling to practice and competitions. As any parent of young athletes knows, having your children participate in sports can be a real hassle. There's getting them to and from practice and games, making sure they have the necessary equipment, ensuring they still make school a priority, and, for many parents, writing the checks to keep your kids in the game can be really unpleasant. Our two daughters are alpine ski racers on the Sugar Bowl Ski Team in Northern California and having to train and compete hours from our home near San Francisco adds another level of complexity. But whatever sport your children play, the challenges remain mostly the same, whether your kids are soccer players, golfers, gymnasts, or what have you. I admit that I can be a bit of a taskmaster with my girls on those morning when they're dragging their feet. I will also admit that this 'forced' approach is a source of some irritation for my wife who believes (as I do to a lesser degree) that kids need downtime to rest and recovery from their busy days filled with school and other extracurricular activities. My wife and I are also generally in agreement on not pressuring our children to do anything beyond their school and home responsibilities. We believe in allowing them to find and follow their own passions and interests (even if our girls have few at this point in their lives). At the same time, given that I was an internationally ranked ski racer "back in the day" and have a tremendous passion for skiing, I must also admit that I want our daughters to grow up to be good skiers and I want us to share the life of a skiing (and perhaps ski racing) family. I began to ponder more deeply what I wanted our girls to get out of their sports experience and I realized that, though I do want them to become good skiers, there were far more important things I wanted them to gain from it that they can't readily get in other parts of their lives. In my musings, I came up with Four Reasons Why Your Kids Should Play Sports. The ability to commit to something is fundamental to success in every aspect of life, whether sports, school, career, or relationships. For our girls, getting up and out on weekend mornings when we're at Sugar Bowl teaches that commitment to our girls. Additionally, the commitment isn't just theirs, but rather it's a family commitment as well. Sarah and I have made a substantial commitment of time, money, and energy to our skiing life based on our girls' desires to be a part of the Sugar Bowl ski team. We make the commitment to pay the bills, take care of our girls' gear, and get them where they need to go, whether training or races. Their commitment involves working hard, paying attention to their coaches, being good sports, and, importantly, expressing gratitude toward everyone who makes this experience possible. Could this lesson of commitment be taught outside of sports? To some degree, yes. A significant commitment is necessary for participation in other achievement activity (e.g., dance, music, chess). But the level of commitment required for sports seems to be higher because of the costs, the travel, and the amount of time spent on the field, court, course, or hill. My daughters, like most children in our demographic (i.e., educated, reasonably affluent), have a pretty easy life. Compared to generations past, they have few demands placed on them. Few children these days have to wake up at the crack of dawn to feed the chickens and milk the cows. Even fewer have to walk to and from school 10 miles uphill (in both directions) in a snowstorm! And Mill Valley certainly doesn't qualify as the "mean streets" where our girls are going to learn some toughness. Yet, resilience, that is, the ability to overcome challenges, adapt to changing situations, and bounce back from setbacks, is another essential contributor to success. So, where are children these days going get that resilience that they will certainly need as they grow into adults? Well, for our daughters, it's skiing on the mountain and competing in races. 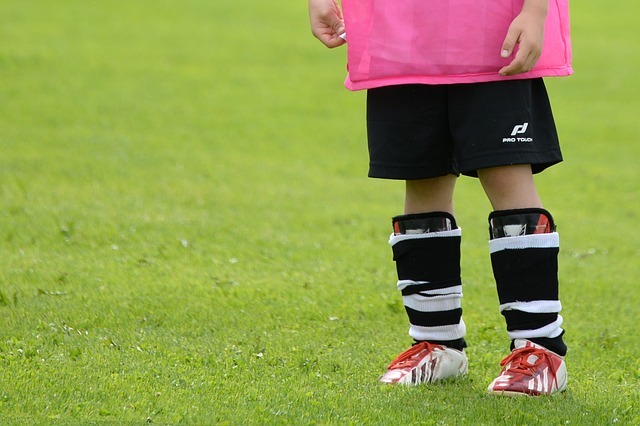 The adversity children can experience in sports are many and varied. There is, of course, the weather for outdoor sports, which can range from rain to high winds to bitter cold to blistering heat. My daughters were so proud of themselves a few weeks ago when they came off the hill after a full day of skiing in the rain. There are also field, court, course conditions which can include wet, frozen, muddy, or hard. Young athletes must also endure and learn to overcome fatigue, frustration, doubt, pain, and injury. Finally, games, races, meets, and other competitions immerse children in a "it's the results that matter" world that can be brutal. Sports are the one place in out daughters' lives where they are pushed out of their comfort zones in so many ways and emerge from it feeling, well, tough (in the first-world, suburban sense). These experiences elevate their confidence, boost their motivation, sharpen their focus, and, ultimately, prepare them for the inevitable challenges they will face in many aspects of their lives. You can think of both as opportunity gains (the opposite of opportunity costs), which involve time spent doing something good for kids is time not spent doing things that are bad for them. In this case, time spent participating in sports is time not spent eating junk food, drinking or taking drugs, getting into trouble, or just plain mind numbing and time sucking as social media, video games, and TV. If you are like our family, much of your time at home is not usually time spent together. Though weekends should be devoted to that thing called family time, it rarely seems to actually happen. My wife is grocery shopping and running other errands and I'm working, paying bills, or doing things around the house. My kids are either in their rooms playing or running around outside. In other words, we aren't doing family time. As a ski racing family, our time in the mountains is very much family time. It begins when we pack up and head for the mountains. No doubt the drive can be a grind. At the same time, we are all together in a metal box for three or more hours during which we talk, play games, and share audiobooks. Once we arrive, it continues to be family time. Though our girls are with their training groups most of the days, we are with them for breakfast, lunch, and dinner. Plus, we often pull them out of ski team to ski as a family. And I can tell you that there is nothing that brings me more joy than skiing with my family. Regardless of the sports your children play, your family will experience many of the same benefits of family time whether helping them improve their sports skills in the backyard or at the local park, or traveling to practice and competitions. Not to mention the friends you make and the community you build as a part of their sports life. As I noted in a recent post, being a sports parent can be a real bummer sometimes. At the same time, seeing the smiles on our girls' faces after a day of skiing, the determination they express in tough conditions, and the excitement they experience after a successful race definitely balances out those tough times. When you add in the opportunities for my wife and I to be with like-minded parents and to be able to share such a healthy part of children's young lives, the life of a sports family seems like a win-win-win (children, parents, family).